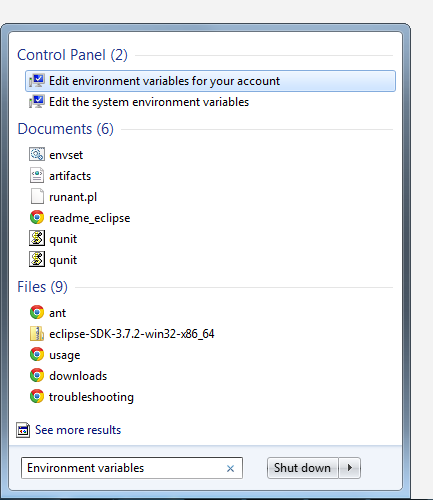 A common hassle whenever you get a new laptop or PC is setting up the java environment variables so that when you install Eclipse or Netbeans you are ready to go. For your, and my own future reference, this is how it is done (on Windows 7 at least). 2. 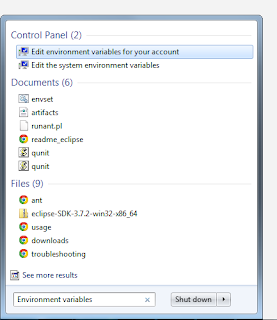 Press the Windows button and type in "Environment Variables" and press enter. 6. Press OK, and then OK to the main dialog. You will now have your Java environment variables set up correctly. That should be it - if I've missed anything out or you have any problems let me know!